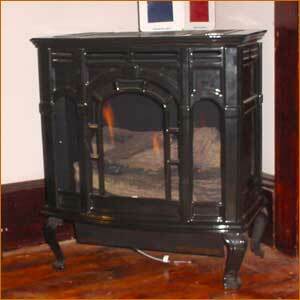 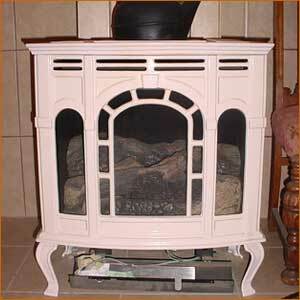 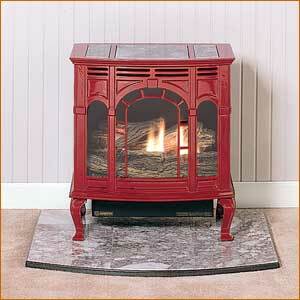 Your Fireplace Shop offers a variety of vented and vent-free gas stoves. 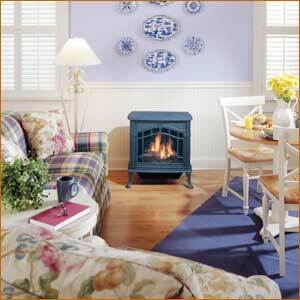 You can choose from any color finish available to go with the decor of any room you're having it installed in. 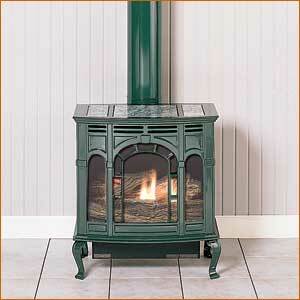 Our vent-free stoves are 99.9% fuel efficient, and are available with or without a remote control. 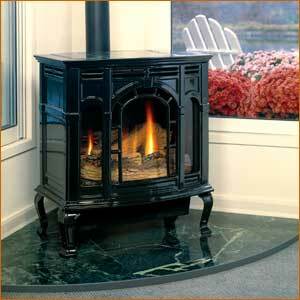 All of our stove models feature a pilot light equipped with an oxygen depletion sensor and an automatic shut-off valve for maximum safety.